2Instituto de Física Fundamental IFF-CSIC, Calle Serrano 113b, Madrid 28006, Spain. 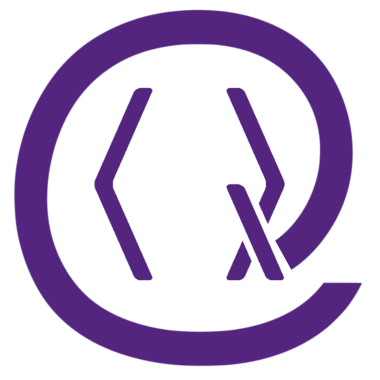 Citation: Quantum 2, 97 (2018). Quantum emitters coupled to structured photonic reservoirs experience unconventional individual and collective dynamics emerging from the interplay between dimensionality and non-trivial photon energy dispersions. In this work, we systematically study several paradigmatic three dimensional structured baths with qualitative differences in their bath spectral density. We discover non-Markovian individual and collective effects absent in simplified descriptions, such as perfect subradiant states or long-range anisotropic interactions. Furthermore, we show how to implement these models using only cold atoms in state-dependent optical lattices and show how this unconventional dynamics can be observed with these systems. perturbative descriptions break and novel non-Markovian phenomena emerge. E. Vetsch, D. Reitz, G. Sagué, R. Schmidt, S. T. Dawkins, and A. Rauschenbeutel, Phys. Rev. Lett. 104, 203603 (2010). J. D. Thompson, T. G. Tiecke, N. P. de Leon, J. Feist, A. V. Akimov, M. Gullans, A. S. Zibrov, V. Vuletic, and M. D. Lukin, Science 340, 1202 (2013). A. Goban, C.-L. Hung, S.-P. Yu, J. Hood, J. Muniz, J. Lee, M. Martin, A. McClung, K. Choi, D. Chang, O. Painter, and H. Kimblemblrm, Nat. Commun. 5, 3808 (2014). J.-B. Béguin, E. M. Bookjans, S. L. Christensen, H. L. Sørensen, J. H. Müller, E. S. Polzik, and J. Appel, Phys. Rev. Lett. 113, 263603 (2014). P. Lodahl, S. Mahmoodian, and S. Stobbe, Rev. Mod. Phys. 87, 347 (2015). A. Sipahigil, R. E. Evans, D. D. Sukachev, M. J. Burek, J. Borregaard, M. K. Bhaskar, C. T. Nguyen, J. L. Pacheco, H. A. Atikian, C. Meuwly, R. M. Camacho, F. Jelezko, E. Bielejec, H. Park, M. Lončar, and M. D. Lukin, Science 354, 847 (2016). N. V. Corzo, B. Gouraud, A. Chandra, A. Goban, A. S. Sheremet, D. V. Kupriyanov, and J. Laurat, Phys. Rev. Lett. 117, 133603 (2016). H. L. Sørensen, J.-B. Béguin, K. W. Kluge, I. Iakoupov, A. S. Sørensen, J. H. Müller, E. S. Polzik, and J. Appel, Phys. Rev. Lett. 117, 133604 (2016). P. Solano, P. Barberis-Blostein, F. K. Fatemi, L. A. Orozco, and S. L. Rolston, Nature communications 8, 1857 (2017). V. P. Bykov, Soviet Journal of Quantum Electronics 4, 861 (1975). S. John and J. Wang, Phys. Rev. Lett. 64, 2418 (1990). G. Kurizki, Phys. Rev. A 42, 2915 (1990). S. Tanaka, S. Garmon, and T. Petrosky, Phys. Rev. B 73, 115340 (2006). G. Calajó, F. Ciccarello, D. Chang, and P. Rabl, Phys. Rev. A 93, 033833 (2016). T. Shi, Y.-H. Wu, A. González-Tudela, and J. I. Cirac, Phys. Rev. X 6, 021027 (2016). P. Facchi, M. S. Kim, S. Pascazio, F. V. Pepe, D. Pomarico, and T. Tufarelli, Phys. Rev. A 94, 043839 (2016). F. Galve, A. Mandarino, M. G. Paris, C. Benedetti, and R. Zambrini, Scientific Reports 7 (2017), 10.1038/​srep42050. A. González-Tudela and J. I. Cirac, Phys. Rev. Lett. 119, 143602 (2017a). E. Shahmoon, D. S. Wild, M. D. Lukin, and S. F. Yelin, Phys. Rev. Lett. 118, 113601 (2017). A. W. Glaetzle, K. Ender, D. S. Wild, S. Choi, H. Pichler, M. D. Lukin, and P. Zoller, Phys. Rev. X 7, 031049 (2017). J. Perczel, J. Borregaard, D. E. Chang, H. Pichler, S. F. Yelin, P. Zoller, and M. D. Lukin, Phys. Rev. Lett. 119, 023603 (2017). A. Albrecht, L. Henriet, A. Asenjo-Garcia, P. B. Dieterle, O. Painter, and D. E. Chang, arXiv:1803.02115 (2018). J. S. Douglas, H. Habibian, C.-L. Hung, A. Gorshkov, H. J. Kimble, and D. E. Chang, Nature Photonics 9, 326 (2015). A. González-Tudela, C.-L. Hung, D. E. Chang, J. I. Cirac, and H. Kimble, Nature Photonics 9, 320 (2015). E. Shahmoon, P. Grišins, H. P. Stimming, I. Mazets, and G. Kurizki, Optica 3, 725 (2016). S. John and T. Quang, Phys. Rev. A 50, 1764 (1994). Q.-J. Tong, J.-H. An, H.-G. Luo, and C. H. Oh, Phys. Rev. A 81, 052330 (2010). P. Longo, P. Schmitteckert, and K. Busch, Phys. Rev. Lett. 104, 023602 (2010). S. Garmon, T. Petrosky, L. Simine, and D. Segal, Fortschritte der Physik 61, 261 (2013). E. S. Redchenko and V. I. Yudson, Phys. Rev. A 90, 063829 (2014). F. Lombardo, F. Ciccarello, and G. M. Palma, Phys. Rev. A 89, 053826 (2014). E. Sánchez-Burillo, D. Zueco, L. Martín-Moreno, and J. J. García-Ripoll, Phys. Rev. A 96, 023831 (2017). R. H. Lehmberg, Phys. Rev. A 2, 883 (1970). G. W. Gardiner and P. Zoller, Quantum Noise, 2nd ed. (Springer-Verlag, Berlin, 2000). I. de Vega and D. Alonso, Rev. Mod. Phys. 89, 015001 (2017). Y. Liu and A. A. Houck, Nature Physics 13, 48 (2017). N. M. Sundaresan, R. Lundgren, G. Zhu, A. V. Gorshkov, and A. A. Houck, arXiv:1801.10167 (2018). M. Mirhosseini, E. Kim, V. S. Ferreira, M. Kalaee, A. Sipahigil, A. J. Keller, and O. Painter, arXiv:1802.01708 (2018). I. de Vega, D. Porras, and J. Ignacio Cirac, Phys. Rev. Lett. 101, 260404 (2008). C. Navarrete-Benlloch, I. de Vega, D. Porras, and J. I. Cirac, New Journal of Physics 13, 023024 (2011). L. Krinner, M. Stewart, A. Pazmino, J. Kwon, and D. Schneble, Nature 559, 589 (2018). M. Stewart, L. Krinner, A. Pazmiño, and D. Schneble, Phys. Rev. A 95, 013626 (2017). J. D. Hood, A. Goban, A. Asenjo-Garcia, M. Lu, S.-P. Yu, D. E. Chang, and H. Kimble, Proceedings of the National Academy of Sciences 113, 10507 (2016). N. Ashcroft and N. D. Mermin, Solid State Physics, Books/​Cole Cengage Learning (Inc, 1976). C. Cohen-Tannoudji, J. Dupont-Roc, G. Grynberg, and P. Thickstun, Atom-photon interactions: basic processes and applications (Wiley Online Library, 1992). M. Schreiber, S. S. Hodgman, P. Bordia, H. P. Lüschen, M. H. Fischer, R. Vosk, E. Altman, U. Schneider, and I. Bloch, Science 349, 842–845 (2015). A. J. Daley, M. M. Boyd, J. Ye, and P. Zoller, Phys. Rev. Lett. 101, 170504 (2008). S. Snigirev, A. J. Park, A. Heinz, S. Wissenberg, J. Dalibard, I. Bloch, and S. Blatt, in Quantum Information and Measurement (Optical Society of America, 2017) pp. QT4A-2. J. F. Sherson, C. Weitenberg, M. Endres, M. Cheneau, I. Bloch, and S. Kuhr, Nature 467, 68–72 (2010). C. Weitenberg, M. Endres, J. F. Sherson, M. Cheneau, P. Schauß, T. Fukuhara, I. Bloch, and S. Kuhr, Nature 471, 319 (2011). H. Nakazato, M. Namiki, and S. Pascazio, International Journal of Modern Physics B 10, 247 (1996). A. González-Tudela and J. I. Cirac, Phys. Rev. A 96, 043811 (2017b). A. J. Guttmann, Journal of Physics A: Mathematical and Theoretical 43, 305205 (2010). M. Abramowitz, I. A. Stegun, et al., Applied mathematics series 55, 62 (1966). A. González-Tudela and J. I. Cirac, Phys. Rev. A 97, 043831 (2018). L. Van Hove, Phys. Rev. 89, 1189 (1953). R. Wong and J. Lin, Journal of Mathematical Analysis and Applications 64, 173 (1978). K. I. Petsas, A. B. Coates, and G. Grynberg, Phys. Rev. A 50, 5173 (1994). Y. Boretz and L. E. Reichl, Phys. Rev. E 91, 042901 (2015). L.-J. Lang, S.-L. Zhang, K. T. Law, and Q. Zhou, Phys. Rev. B 96, 035145 (2017). M. Antezza and Y. Castin, Phys. Rev. A 80, 013816 (2009). M. Antezza and Y. Castin, Phys. Rev. A 88, 033844 (2013). R. Grimm, M. Weidemüller, and Y. B. Ovchinnikov, ``Optical Dipole Traps for Neutral Atoms,'' (2000). G. H. Wannier, Phys. Rev. 52, 191 (1937). N. Marzari and D. Vanderbilt, Phys. Rev. B 56, 12847 (1997). T. Uehlinger, Engineering artificial graphene with an ultracold Fermi gas, Ph.D. thesis, ETH Zurich (2014). T. Shi, Y.-H. Wu, A. González-Tudela, and J. Cirac, arXiv:1806.02527 (2018). T. Ramos, H. Pichler, A. J. Daley, and P. Zoller, Phys. Rev. Lett. 113, 237203 (2014). H. Pichler, T. Ramos, A. J. Daley, and P. Zoller, Phys. Rev. A 91, 042116 (2015). 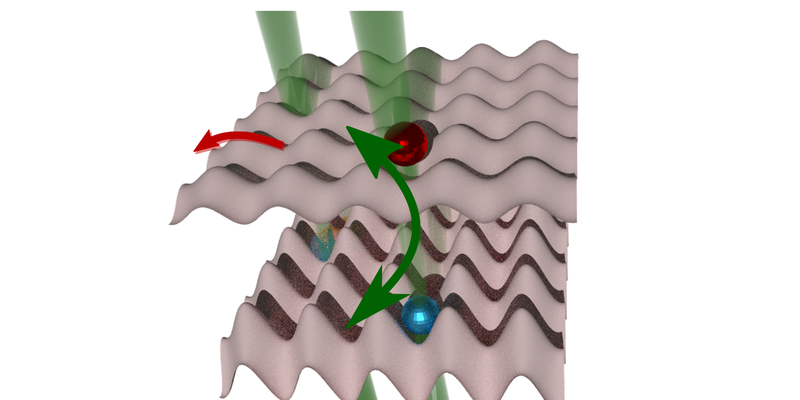 Alejandro González-Tudela and Fernando Galve, "Anisotropic Quantum Emitter Interactions in Two-Dimensional Photonic-Crystal Baths", ACS Photonics 6 1, 221 (2019). T Shi, Y-H Wu, A González-Tudela, and J I Cirac, "Effective many-body Hamiltonians of qubit-photon bound states", New Journal of Physics 20 10, 105005 (2018). H. Z. Shen, Shuang Xu, H. T. Cui, and X. X. Yi, "Non-Markovian dynamics of a system of two-level atoms coupled to a structured environment", Physical Review A 99 3, 032101 (2019). The above citations are from Crossref's cited-by service (last updated 2019-04-25 10:24:13). The list may be incomplete as not all publishers provide suitable and complete citation data. On SAO/NASA ADS no data on citing works was found (last attempt 2019-04-25 10:24:13).